You’ll now have the ability to view, restore and delete items in your trash from within the iOS app. 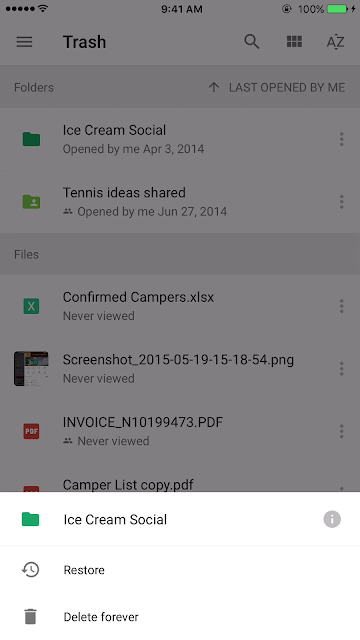 Folder Colors: You can now view and modify your Google Drive folder colors on the fly. Trash View: You’ll now have the ability to view, restore and delete items in your trash from within the iOS app.